One of the best kept secrets in Newport, the Edward King house was designed by not ed architect Richard Upjohn in 1845 for wealthy China trade merchant Edward King. The Edward King House is one of the finest examples of Italianate Villa style of architecture in America. At Christmas time, 1912, the villa was donated to the City of Newport by the King Family for use by the citizens of Newport. It served as the public library until 1968 when it became the home of Newport’s senior citizens. This beautiful facility provides a stunning backdrop for events such as concerts in the foyer or the ballroom, our Annual Silver Tea, social events and rental opportunities for small casual or formal events. Every square foot of this building is used for thousands of activities per year, it is a bustling, joyous environment. The exterior grounds are currently being revitalized with the addition of an “English Garden” replica with plants that are historically appropriate for it’s time. Each room offers an elegant yet home feel appropriate for every event throughout the year. 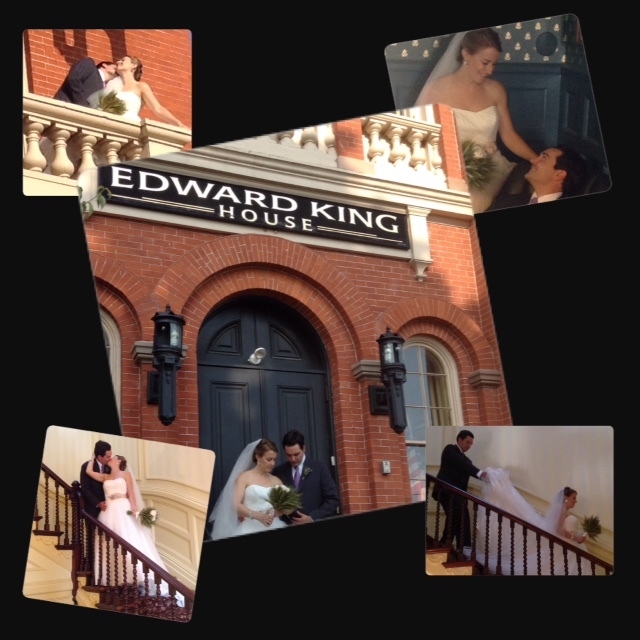 We are currently accepting bookings for weddings, meetings, family parties and conferences. Our beautiful facilities are sure to make your event a memorable one. For more information, please feel free to contact us at (401) 846-7426, email us at info@edwardkinghouse.org or use the form below to contact us with your requirements.